The Cuban government has eased restrictions on loans to private borrowers in the latest measure aimed at boosting the island's troubled economy. The minimum lending has been reduced from 3,000 to 1,000 pesos (£41; $67). The measure was published in the official gazette. People will also be allowed to use their houses or jewellery to guarantee their loans. The maximum period of the loans has been extended from five to 10 years. Earlier this month, the Cuban government lifted restrictions on private individuals buying new and second-hand cars. Any Cuban citizen or foreigner with enough money will now be allowed to import the vehicles through an official agency. Previously, official permits were required and they were often issued to government officials, doctors and other people with access to the authorities, such as sports stars. The main aim of the reforms introduced in the last few years is to keep the economy afloat, says the BBC's Sarah Rainsford in Cuba. Our correspondent says the latest announcement appears aimed at promoting the culture of credit, which remains a novel concept on the island. Although Cubans have been able to request bank credits since 2011, barely 500 are reported to have borrowed money. The government wants to boost that figure as part of its efforts to encourage 1.5 million people to switch from the state payroll to the new private sector. 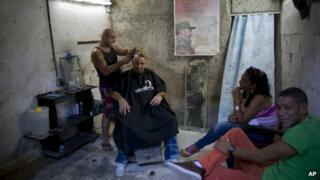 Some 440,000 people, or about 9% of the Cuban workforce, are now self-employed. But analysts point out that the new businesses face a big problem - they all chase a very limited number of Cubans with cash to spend. In his speech before the National Assembly in Havana on 22 December, Mr Castro called on the United States to establish "civilised relations" with his country. But he warned that Cuba and the US - old Cold War rivals - "should respect their differences". The US broke relations in 1961, two years after the revolution led by Raul's brother, Fidel Castro. It imposed an economic embargo on the island shortly after that.